MBAM is Microsoft Bitlocker Administration and Monitoring Tool Enables administrators to automate the process of encrypting volumes on client computers across the enterprise.BitLocker offers protection against data theft or data exposure for computers that are lost or stolen. BitLocker encrypts all data that is stored on the Windows operating system and drives and configured data drives. MBAM is one of the major component in Microsoft Desktop Optimization Pack for Software Assurance (MDOP).MDOP consist of 6 components. MBAM:Microsoft BitLocker Administration and Monitoring (MBAM) provides an administrative interface to enterprise-wide BitLocker drive encryption.Will cover in this blog post. AGPM:Microsoft Advanced Group Policy Management (AGPM) extends the capabilities of the Group Policy Management Console (GPMC) to provide change control and improved management. 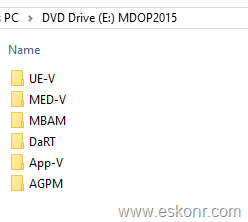 To get any of these components,you must download MDOP from Volume licensing and MSDN. Microsoft recently released MBAM 2.5 SP1 which is part of MDOP 2015 with some new features,functionalities and complete support for Windows 10 . To know more about MBAM 2.5 SP1 and what's new compare to its previous version,Read the TechNet documentation https://technet.microsoft.com/en-us/library/mt427465.aspx . Due to huge content involved in this step by step guide series, I will split this post into multiple parts as outlined below. Part 1: Setting up accounts required for MBAM 2.5 SP1 in Active Directory—This post contains, how to create domain accounts/security groups and register SPN. Part 2:Prerequisites for MBAM 2.5 SP1: This post contains how to enable roles and install SQL server 2012 SP1 ,configure Database. Part 3:Prerequisites for the Configuration Manager Integration Feature (this is Optional)—This posts contains how to extend MOF file both in Configuration.mof and hardware Inventory . Part 5: How to create Group policy settings for MBAM 2.5 SP1 Bitlocker and deploy to Workstation OU.—Importing MBAM ADM templates,creation of GPO’s ,deploy to Clients. Part 6: Create MBAM 2.5 SP1 application in SCCM 2012 ,Deploy to clients ,bitlocker encryption demo —Logon to the Windows 8 clients,verify bitlocker,Retrieve the bitlocker Key,check the compliance using SCCM 2012 etc. Supported Configuration Manager versions for MBAM. 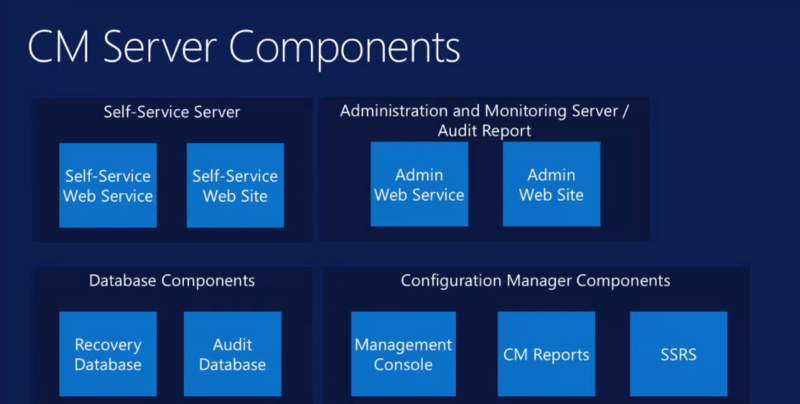 Below diagrams show the components involved in both Stand Alone Server Components and Configuration manager 2012 server Components (Integration). I am running this installation setup on my windows 10 Hyper-V with following server. 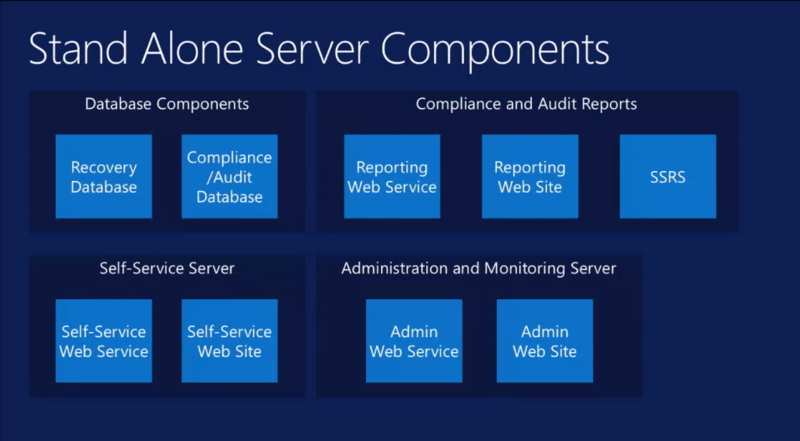 All servers are running on server 2012 R2 Standard Edition. 2. 1 Server with SCCM Configmgr 2012 R2 SP1 (SQL Server installed on same box) is required, if you want to integrate MBAM else you can go with standalone server. 3. 1 Member server for MBAM Installation.---This server hosts SQL Database,reports ,Administration server and Self service portal. In first part of this multi series guide (part 1) ,we will be creating user accounts,security groups,SPN registration in Active Directory which is required for MBAM 2.5 SP1 setup. One Response to "How to Install MBAM 2.5 SP1 and integrate with SCCM Configmgr 2012 R2 SP1"